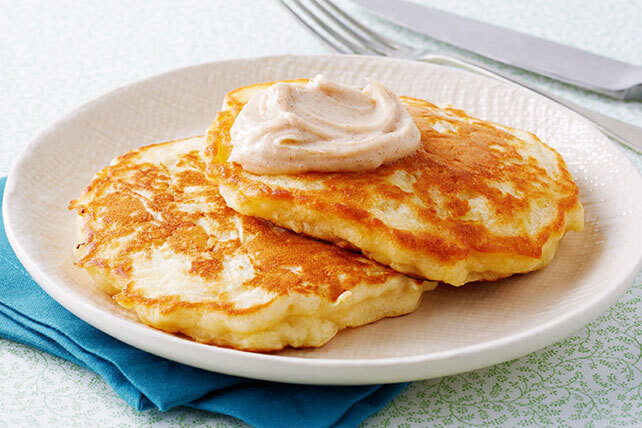 Fill your home with the sweet aroma of these Apple-Cinnamon Pancakes! Our Apple-Cinnamon Pancakes will be sure to get your family out of bed fast. Beat cream cheese spread, 1/4 cup sugar, salt and cinnamon with mixer until blended; refrigerate until ready to use. Combine flour, baking powder and remaining sugar in large bowl.